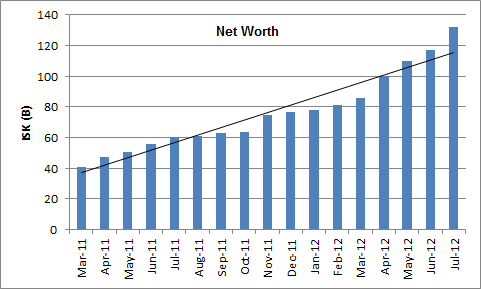 June and July were periods of rapid growth, both in terms of buying power and activity spread. I’m now able to have my fingers in more markets and more item types, helping to spread the risk. Out performing the liner projection the past three months. 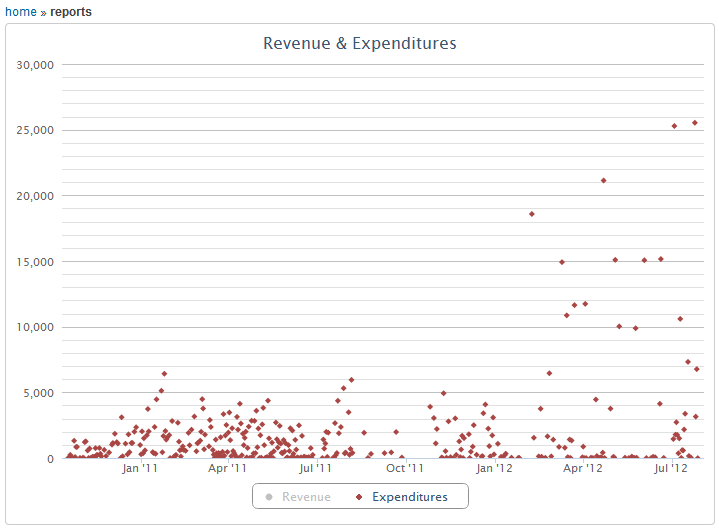 My purchase sprees have grown in volume over the past few months. They keep topping out at larger amounts. 18.5, 21.1, 25.2, and now 25.5 B purchased in a single day. I love seeing the holding account balance go up, but liquid ISK is idle ISK. Throw is back into the market unless you are accruing a balance for a project. 1. New milestone reached as I moved 103.7 B ISK this month. Subscribing to the Bulk Trade mailing list has fueled buying in large quantities. Why buy two Scimitars off the market when you can buy 20 and get a discount? I logged into Jita about 35 minutes after the Devblog was posted citing changes to Alchemy. At this time the majority of Cobalt was off the market, so I was only able to get 26k units @ 1,580 (41.7 M) and then I foolishly bought 15k units @ 7,000 (110.7 M). As of this writing, Cobalt is sitting at 2,800 in Jita so I highly doubt that I was turn a profit on these speculative trades. I didn’t run the numbers after the announcement so I’ll accept the loss on this. Despite the loss, it was fun to refresh the markets and watch the speculation drive prices. I hope for more changes to the moon market this fall. This has proven to be a powerful way to remain connected to the market. I’m currently able to monitor sales and purchases. This lets me keep mental notes of what needs to be restocked or adjusted. In the future we hope to expand it with more Android style touch options. Some ideas that we have been throwing around is that of a cart. If you are about to sell out of an item, it will shade the row and holding down on the row will bring up an action menu. You can look up history, item trading performance, or add the item to a restock cart. Raath, the author of Staticmapper and DRK Industry Tracker, and I are forming an industry and trading partnership. I’m taking my idle stack of blueprints and putting them to use. We’re polishing off our invention and Tech3 production skills so we can start to mass produce ships and modules. 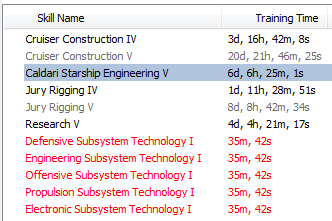 *sigh* do you know that it is going to take 50+ days to be able to produce a Tengu hull and Subsystems? The adjustments to Faction Warfare rewards killed profits on implants for me for over a month. I waited for the price to adjust and am back to trading these in high volumes again. In the past month implants are back in my highest performing group and I’ve moved 2,880 implants in the past 30 days. 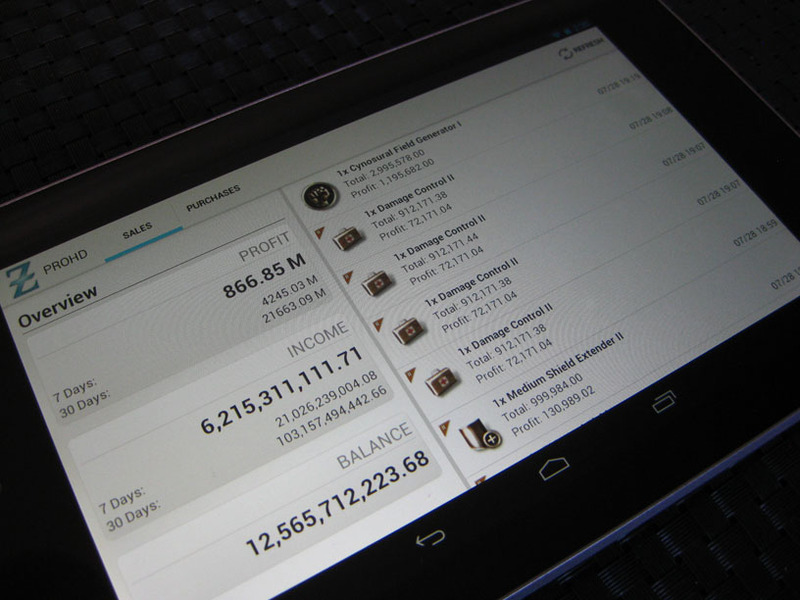 For those of you that have been asking about my Wallet Manager program I have good news. A group of developers is using inspiration from our team and is coding up a public version for everyone. I chat with them daily on irc.coldfront.net and will have a post about this once we have some public-facing content. I’m going to get my new partner, Raath, up to speed on the trade operation. He is bringing a large number of production alts so I’m looking forward to putting all our idle blueprints to use. what mobile app do you use currently? so those dastardly goons found interesting flaws in faction warfare changes, and managed to farm an unbelieveble amount of lp’s. I imagine one of the best ways for them to redeem the lp for isk, was to dump them into implants. Are you and Raath partnering because you’re both blue to each nother now, or was that just happy coincidence? We’ve actually been in the same corp for the past 3-4 years. 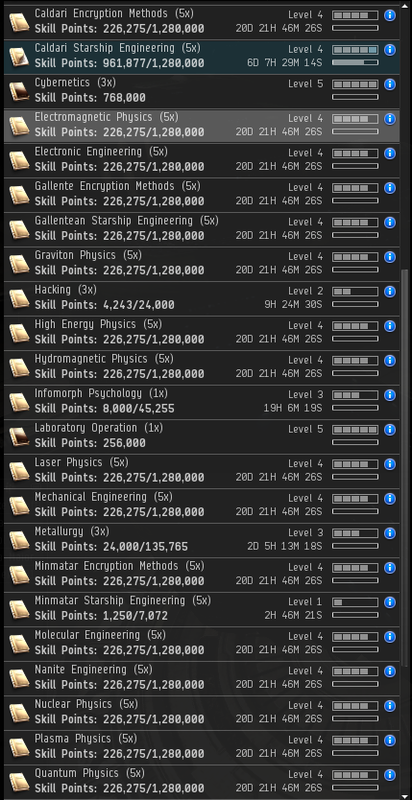 We were originally mining in HS, moved into WH C1->C6, and then nullsec. So we’ve been building things for a long time.